I knew this exhibition was a collaboration between Meryl Ainslie and Sophie Cummings, but didn't realise that some of it is already available to view before the official opening on 30 October. 'This free exhibition will include selected paintings from throughout Craigie Aitchison’s life. He relished colour and is celebrated as one of our most important 20th Century artists for the intensity of his palette, his flat, almost two-dimensional forms and simple icon-like compositions. His distinctive subject matter consisting of still lifes, landscapes, portraits, nudes, Bedlington terriers and crucifixions, are all rendered in vibrant, luminous colour, and powerfully invoke both the early Italian Renaissance as well as the British visionary tradition. This exhibition has been organised by Meryl Ainslie, owner and director of Rabley Contemporary in collaboration with Sophie Cummings, curator of Swindon Museum and Gallery in consultation with Terry Danziger – Miles, executor of the Craigie Aitchison Estate. What's also very exciting is the new look achieved in the gallery by the addition of a wall at right angles to the main wall opposite you as you walk into the gallery; it enables seven extra large paintings to be hung. 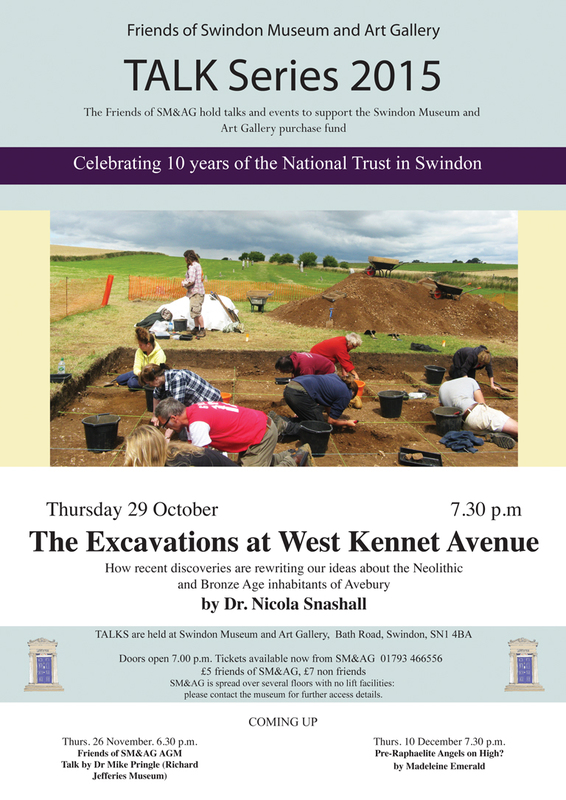 Sophie Cummings will be giving a free talk on 30 October at 12.30pm-1.00pm on this exhibition. We were delighted to be able to organise our first Friends' trip to Rabley Drawing Centre which took place last week, it took a lot less time than we'd allowed to get from Swindon, so we spent some time in the car park in glorious sunshine watching red kites overhead, and enjoying the lushness of the rolling downlands. which were still looking lovely. After the drinks, we settled down for Meryl's introduction to herself and Rabley. I took copious notes, very few of which make much sense now, but I'll add a few bits of information here. Meryl specialises in drawing, and is glad to see that drawing is once again fashionable. For 20 years, Meryl was a fine art lecturer at Swindon College, then in 2004 thought it's 'now or never' and founded Rabley Drawing Centre with the idea that it would be a contemporary fine art space, specialising in artists with an international reputation, with education running alongside. There is now also a print room. The international profile is retained by attending art fairs, and if you click on the website link, you can see Meryl will be at Multiplied Art Fair in London from 16th-18th October, featuring work by many artists including Eileen Copper, Prudence Ainslie, Emma Stibbon and more. Meryl has been working with our curator, Sophie Cummings to put on a special show entitled 'Craigie Aitchison and his Contemporaries from the Swindon Collection' which runs from November until January. And next year the aim is to bring Eileen Cooper's touring show to Swindon from the RA. And here's Sara Lee talking us through her practice. And then we went over to the part where a roller is passed over the paper and inked board with the image drawn out of it, and where we were excited to see the print wheel like in the Sylvia Gosse painting. Above Sue waiting to take photos and AJ setting everything up. Below here are 4 photos sent by Sue which perfectly capture the sequence of events in making a print of Emma Stibbon's work. and showing it to us. Great trip, so informative, makes me want to find out more about the courses run there. 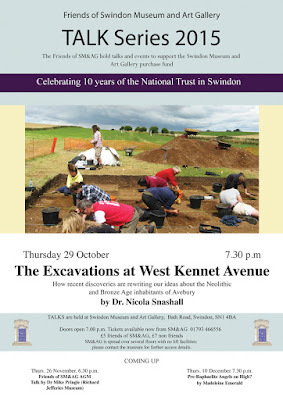 We are very much looking forward to welcoming the Rabley Friends to Swindon on 18 November. This fabulous new exhibition opened last week, and runs until 12 March. From LS Lowry to Swindon artist Walter Poole, urban life and landscapes inspired many modern artists. This exhibition features interiors, townscapes, factories and ruins depicted by modern British artists. It includes work by Robert Bevan, John Nash, Leon Kossoff and Sylvia Gosse. It features many works not seen for a long time, as well as old favourites, the works are grouped together logically making the exhibition flow really well from one area to another. Below, appropriately enough, 'The Printer' by Sylvia Gosse takes centre stage under the Work and Industry heading. Below there's The Urban Interior' and 'Swindon's Street Life' with some great examples of paintings of Swindon streets, including a Harold Dearden painting of the old prefab library. I like this painting by Paul Rudall of 'The Pavilion, Old Town Gardens' painted in 1947. Commissioned by Swindon Corporation! There are also many more postcards available, so after having a look at the exhibition, you can go and buy postcards of several of your favourite paintings. Curator of the exhibition, Sophie Cummings gave an interesting talk on the new exhibition on Friday lunchtime from 12.30pm onwards giving those present a real insight into how she had put the exhibition together, and then focused on a few of the paintings and invited discussion about others. Join our Curator for this FREE lunch time talk focusing on Craigie Aitchison. September's talk was by Tom Freshwater is Contemporary Arts Programme Manager for the National Trust, leading a partnership with Arts Council England. He began his talk by giving us some numerical background to the National Trust; they own over a million artworks, have 6000 staff and 62000 volunteers, 775 miles of coastline and 13000 photos of cake on their data base. The age profile of members was mainly among the greying members of the population, but thanks to many initiatives like music festivals, contemporary art festivals and activities for children, the age profile better reflects a cross section of the population. Contemporary art has played a large part in reinvigorating interest in many National Trust places, it has been used to help with the continuation of the spirit of a place, captured a national moment, as a campaign aid, helped interpretation, created an event and a momento or souvenir. Below Tom and Mike looking at the ceramics, you can see the Going to Town titles are on the wall, but the pictures have not yet been added. Above here's Tom talking, and below a manacled slave from Dyrham Park used to talk about slavery. Tom then showed us a video of Hew Locke talking about the 12 bronze chairs he was commissioned to make for Runnymede, the chairs look stunnign and i'm looking forward to seeing them in situ. 'Commissioned by Surrey County Council and The National Trust to mark the 800th Anniversary of the signing of the Magna Carta. Free to visit at Runnymede, UK. Grayson Perry's Vanity of Small Differences is being displayed next May-June 2016 in a National Trust property. Tom brought Trust New Art alive for us, and inspired lots of us to visit Runnymede and lots of other National Trust places in the near future. So much thought goes into every aspect of how they present their properties to give us all an excellent visitor experience. A really inspiring insight, thnak you Tom.